Autumn is a dichotomy of joy and sorrow. The beauty of the leaves changing, the excitement for Halloween and Thanksgiving, and the comfort of warm, hearty meals makes fall a wonderful time of year. But fall also makes us lament the passing summer and how fleeting the sunshine can be here in Seattle. This sense of conflicting beauty and sadness makes tonight’s performance particularly appropriate for the season. 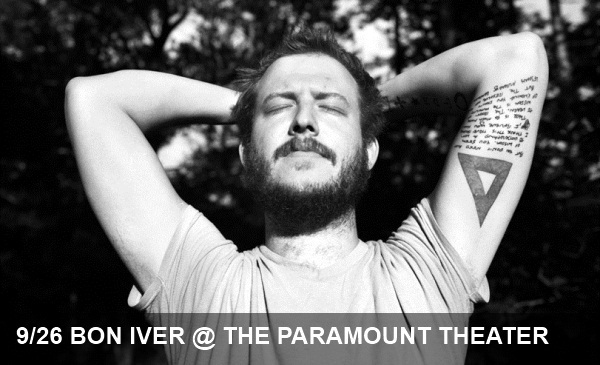 Since Justin Vernon hit the scene as Bon Iver in 2007, fans have flocked to the gentle melodies and entrancing harmonies that would make even the fellows of Fleet Foxes pause to take notice. Vernon’s songs are melancholy and gorgeously composed, and have gained more depth since the band’s first release, For Emma, Forever Ago. We’d be unfair to write about this show without also highlighting tonight’s openers, Other Lives. Atmospheric and arresting, Other Lives produces soundtrack-worthy anthems with rich harmonies and dramatic crescendos. They also have an impressively high-budg sci-fi music video (posted below). If there’s one stand-out show we’d recommend during this fall tour season, this might be it. Congratulations to everyone who scored tickets, and good luck to those of you scouring Craigslist for a chance to see this dream lineup.